The International Anti-Corruption Conference is the world’s premier global forum for bringing together heads of state, civil society, the private sector and more to tackle the increasingly sophisticated challenges posed by corruption. 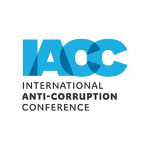 The IACC takes place every two years in a different region of the world, and hosts from 800 to 2000 participants from over 135 countries worldwide. The conference serves as the premier global forum for the networking and cross-fertilisation that are indispensable for effective advocacy and action, on a global and national level.